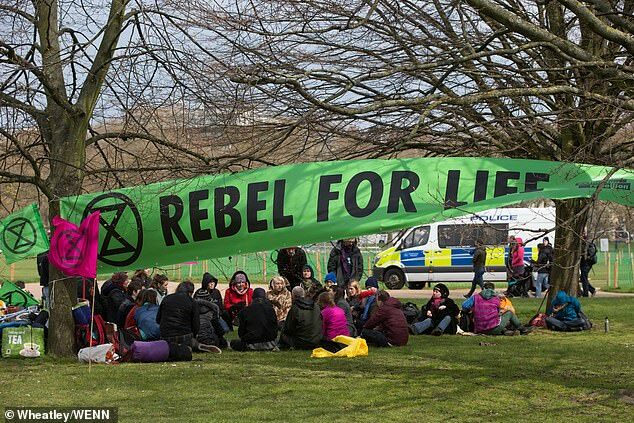 Environmental protesters will converge at five locations in London today to cause disruption, block roads and ‘shut down the city’. 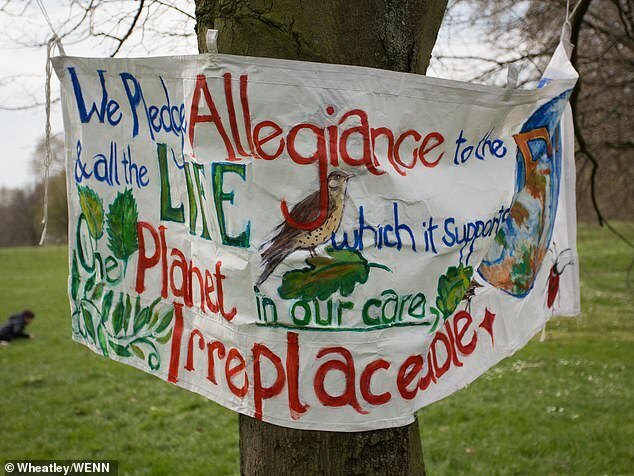 Activists, known as earth marchers, have been making their way in to central London for weeks for the ‘International Rebellion’. 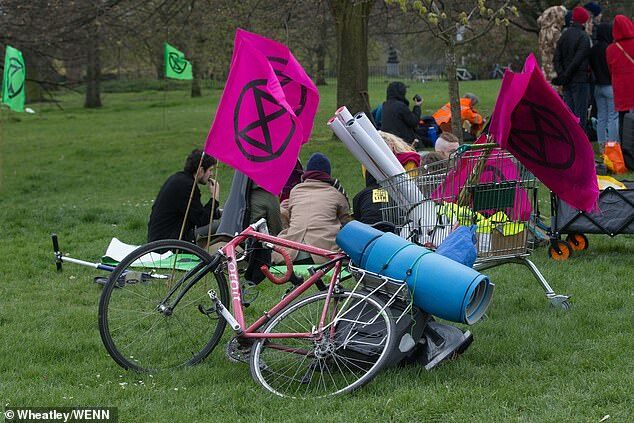 And many were encouraged to illegally camp in Hyde Park overnight so they can ‘come together, form relationships, consolidate plans, and gear up for the days ahead,’ according to campaign group Extinction Rebellion. 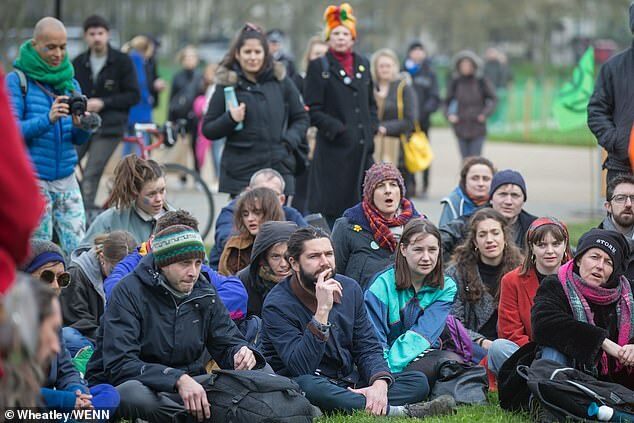 From this morning, thousands of people are expected to gather at Marble Arch, Oxford Circus, Waterloo Bridge, Piccadilly Circus and Parliament Square to block traffic during a three-day protest. 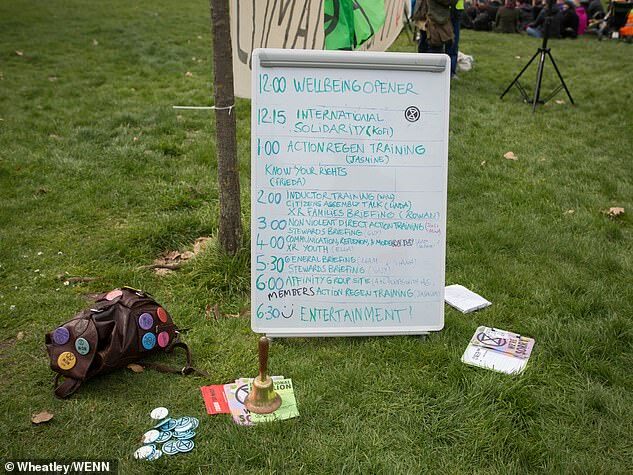 The ‘festival’ of action will include people’s assemblies, performances, talks, workshops and food. 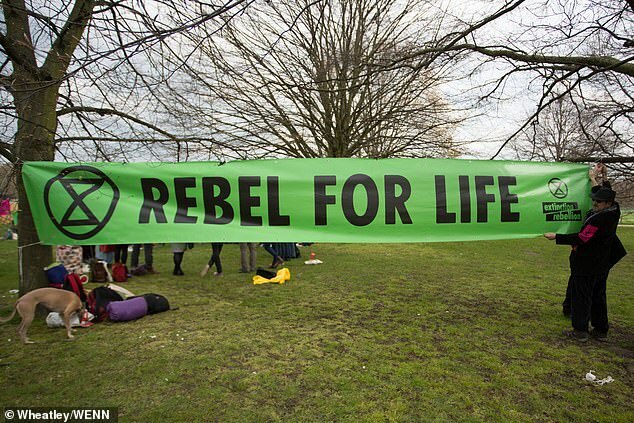 Campaigners will be able to attend training sessions ‘to make sure everyone is prepared for the mass civil disobedience to follow,’ Extinction Rebellion say. And although the movement is a peaceful one, participants are being warned there is always the possibility of arrest. 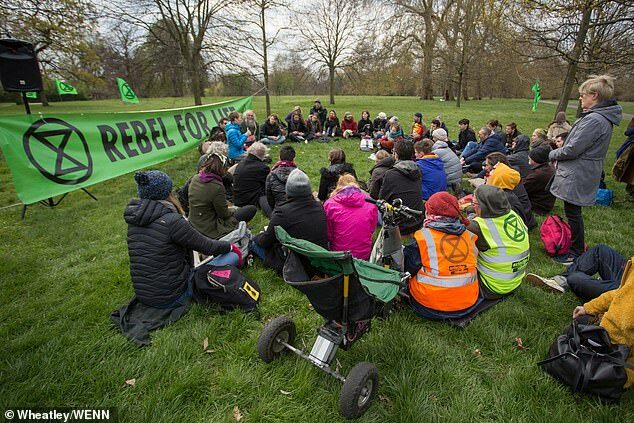 Those considering camping in Hyde Park have been warned they could be breaking the law, as doing so without permission is an offence under Royal Parks legislation. 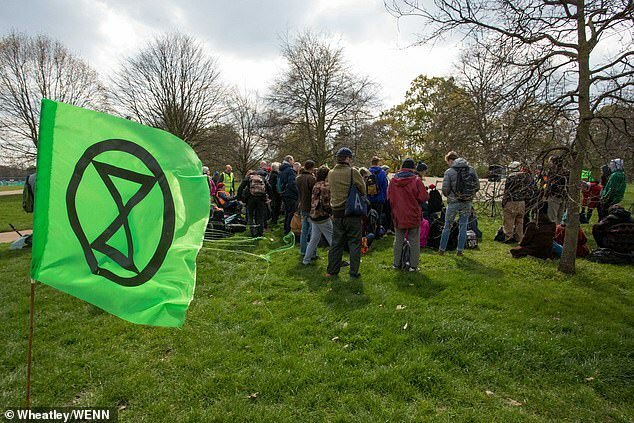 A spokeswoman for The Royal Parks says Extinction Rebellion have not asked for permission to begin the protest in the park and that camping is not allowed. 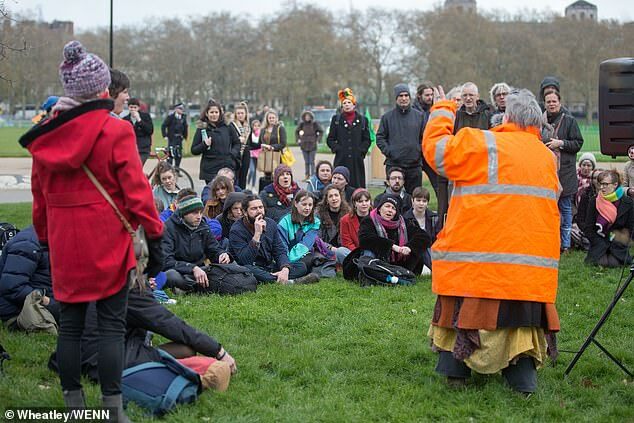 She said: ‘We never allow camping in the parks for reasons of safety, security, lack of welfare facilities and the impact it has on the park. It also removes public space from other park visitors. Police said their operational response ‘would be dependent on what if any other issues might be ongoing at the time’. 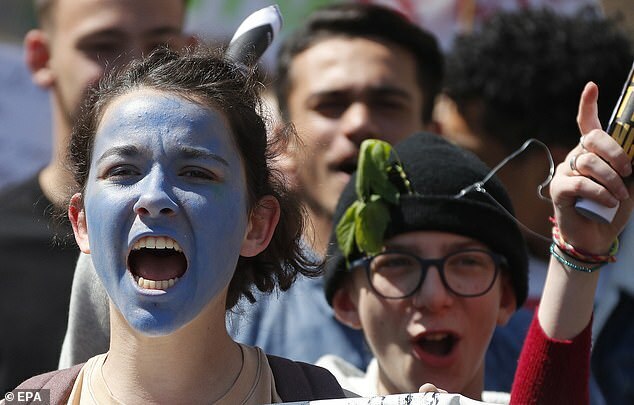 They added: ‘We will always provide a proportionate policing plan to balance the right to a peaceful protest, while ensuring that disruption to communities is kept to a minimum. April Stewart, who travelled from Carmarthenshire in Wales for the demonstration, said the prospect of being arrested ‘doesn’t phase me’. Asked if she thought the Government will take notice, she said: ‘I guess that depends how effective we can be in shutting down the city. Sun 29° Aries 01' 30"
Moon 27° Libra 46' 04"
Mercury 02° Aries 39' 53"